According to Greek Mythology, ambrosia was the food of the Greek Gods in Mount Olympus. Not sure exactly what ambrosia is but I’m sure elements of blueberries had to be in it. Okay, so blueberries are indigenous to the New World, but c’mon Hermes could have flown over there with his winged sandals daily to gather some up. Truly blueberries are amazing. Today we are going to discuss some reasons why you must eat blueberries daily. First reasons as to why you must eat blueberries daily. They taste amazing! Who doesn’t like the taste and texture of these “high ORAC balls?” I can eat them fresh, frozen, in ice cream or pie form, as a juice (though not recommended) and pretty much any other imaginable way. Don’t get me started as to why blueberry pie is not in the pantheon of quintessential American pies along with apple and cherry. 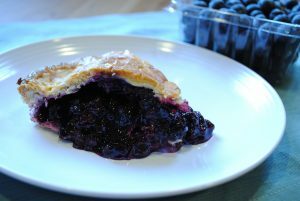 Check out our gluten-free blueberry pie recipe. Nutritionally speaking, numerous reasons abound. Let’s look at some reasons you must eat blueberries daily. 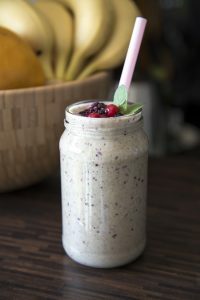 Click Here to Try Our Blueberry Banana Smoothie recipe! Don’t let its size belie its amazing antioxidant power. Blueberries, in particular wild blueberries, score as one of the highest foods/spices in the ORAC scale. The ORAC scale measures a food’s effect in fighting free radical, oxidative, and inflammatory stress in the body. This is perhaps the most cogent reason why you must eat blueberries daily. Blueberries have an active compound called anthocyanins which what gives the berries their vibrant blue color and their antioxidant zing. Anthocyanins are renown for being antioxidant cancer fighters. In other words we want to be eating a lot of these foods in order to stave off diseases, like cancer. To learn more, listen to our Holistic Health News episode on Foods High In The ORAC scale. Who needs a coronary artery stent? I hope not to have one. Blueberries are reputed to fight against coronary artery disease, the precursor to heart attacks. The coronary arteries provide blood to the myocardial heart muscle. Throughout our lifetime, plaque develops in these arteries which eventually occlude (or block) these vessels, thus prevent blood from passing these blockages, thus causing heart attacks. A study done by Harvard University showed that eating blueberries (along with other berries) reduced a woman’s chance of having a heart attack by 33%. Not bad. 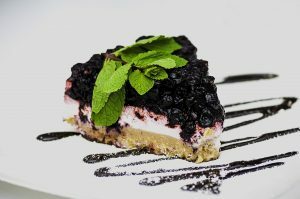 Click Here To Try Our Blueberry Cheesecake Recipe! Blood pressure gets a bad rap. We need blood pressure, for it is the current in which our plasma carries around red blood cells, nutrients, hormones, and alike around the body. Too low blood pressure would prevent blood from going against gravity to supply blood to our brain. Like porridge, blood pressure need to be just right. High blood pressure is the problem. 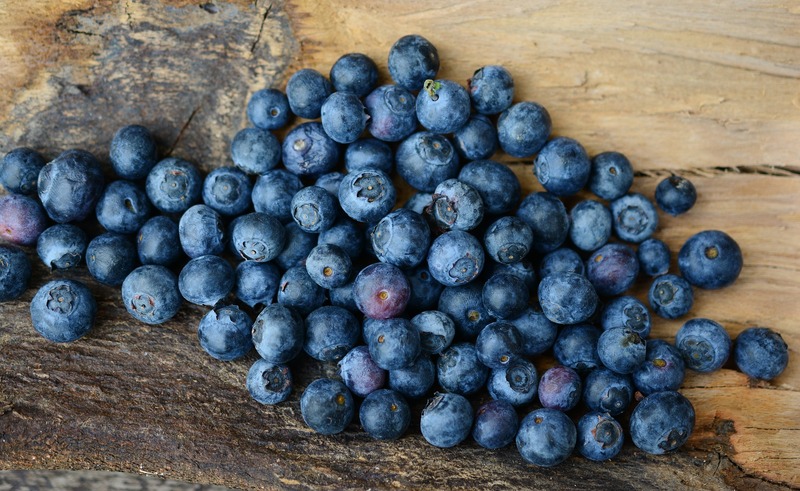 Another reason why you must eat blueberries daily, blueberries may lower our LDL cholesterol. A famous controlled study a few years back on the efficacy on blueberries tested this theory. One half of women were given blueberries and the other a placebo. For those of you where diabetes runs in your family this might be the most important reason you must eat blueberries daily. 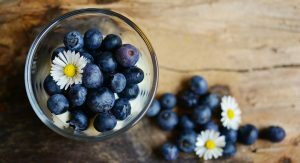 Several studies, including one from published in The Journal of Nutrition have shown that consuming blueberries several times a week improves insulin sensitivity. Insulin is released by the pancreas when our blood sugar is too high. It serves as a “key” to open the doors to organs and muscles where the sugar may be used for energy. If the insulin is not properly opening the “doors” to the organs and muscles, then high blood sugar and high insulin remain in the blood thus resulting in insulin resistance and eventually, potentially diabetes. Insulin sensitivity is the opposite. It’s the ability for the body to properly use insulin and then dispose of it in a health way. Moreover, excessive insulin leads to fat storage. This is one of the many reasons why eating a lot of carb and eating several times a day are counterproductive to weight loss and maintenance. Listen to our Holistic Health News podcast on Natural Ways To Reverse Type II Diabetes. In the aforementioned controlled, double-blind study, dozens of obese insulin resistance people were asked to consume blueberries or a cocktail of the active compounds in blueberries. Those who were not given the placebo saw their insulin resistance remain the same; while those given the blueberries saw theirs drop by a factor of four. Pretty impressive. Click Here To Try Our Blueberry Yogurt Bowl recipe! A study published in the Annals of Neurology conducted by Harvard saw that anthocyanins may help ameliorate dementia or at the least slow down cognitive decline. In the study thousands of elderly were given blueberries, while the placebo group didn’t. The study showed that weekly consumption of blueberries may slow cognitive decline by 3 years. Not shabby. Yet another amazing reason you must eat blueberries daily. These are just a few reasons you must eat blueberries daily. The fiber amount and high levels of Vitamin C & E are just a few of the honorable mentions. Blueberries are amazing but there is a ranking order on how to purchase them. 1. Purchase fresh locally-grown, in-season. Spring and summer is when they are freshest. Many times, American grocers ship them in from Chile during our winter because they grow plentiful over there in the Andes during their summer. My young kids have been eating blueberries since they were toddlers. My 5-year-old daughter and 3-year-old son will eat frozen blueberries as is all-day. I think in their eyes they are almost like candy. I regularly make blueberry smoothies, put blueberries in their cereal and their yogurt bowls. My youngest, who is 19-months-old, is already on the blueberry wagon. She consumes more frozen blueberries than anyone else in the family. I seriously make the best blueberry smoothie ever! You must eat blueberries daily, for they are great for you and they taste amazing. Try the amazing aforementioned recipes linked on the photos above.